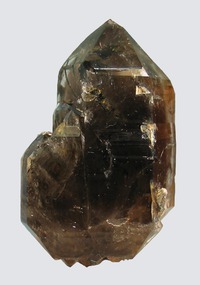 An extremely lustrous double terminated Smoky Quartz Crystal with multiple Aegerine crystals included within it. I backlit the specimen just a little to try and emphasize this, but the camera didn't pick them up very well. 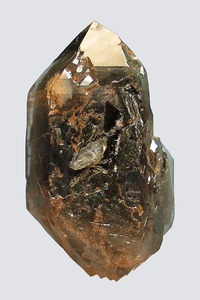 specimen size = 7.3 x 4.5 x 2.7 cm.